The 2017 season may end up as a testament to what could have been for North Queensland. After two dramatic golden point victories to start the year, injuries have since cruelled the team’s chances of playing deep into September. If the Cowboys’ injury run was more akin to their 2015 or 2016 campaigns, it is very likely they would be pushing for a top-two finish given the erratic form of every team bar Melbourne. 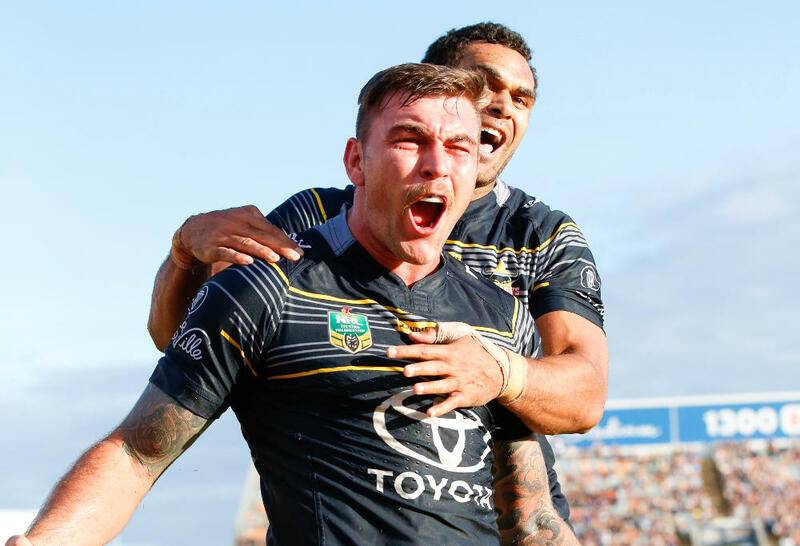 The Cowboys have performed admirably given their torrid luck, and they have had chances to beat most of the top sides this season: they led the Sharks 14-0 in Round 11 before being run in the second half to lose 18-14, they led the Roosters 16-4 in Round 21 but went down 22-16, they led the Panthers 16-6 last weekend but capitulated to lose 24-16 and they drew level with Melbourne Storm 22-22 in Round 15 but went down to a Brodie Croft drop goal in golden point. Injured trio Johnathan Thurston, Ben Hannant and Matthew Scott would have provided the leadership, tactical management and up-front firepower to ensure these teams would not have been able to mount such second-half resurgences but, alas, they are on the sidelines along with their combined 777 games of first-grade experience. There is a deficiency of match experience in the forward pack. Scott Bolton boasts the most games of any forward to run out against the Sharks this Saturday with 199 matches. The next best is 24-year-old Jason Taumalolo with 132. Third is Ethan Lowe with 86. The next highest is John Asiata with 71. Then it’s Coen Hess with 29 games. Paul Green has attempted to remedy this issue by playing Granville for 80 minutes along with four interchange forwards. The effectiveness of this plan remains to be seen given additional injuries disrupted the game plan in Rounds 22 and 23. However, there is a silver lining to every dark cloud. The injuries have given opportunities to fringe first-grade players to make their mark on the team. In recent weeks young bucks Patrick Mago and Corey Jensen have been particularly impressive. Jensen cracked the 100-metre barrier for the first time in his NRL career last weekend and appears to be improving every week. Mago bent the line in his debut against the Panthers and impressed the coach enough to earn another appearance against the Sharks. Additionally, the season-ending injury to Johnathan Thurston has forced Michael Morgan to step up into the role of being the team’s chief organiser. The half-back is in great form, boasting 13 try assists (ranked sixth in the league), nine linebreaks, 69 tackle busts (equal with Billy Slater) and eight tries (second most by a halfback). But what differentiates 2017 Morgan from 2015 Morgan is that he now knows how to control a game. His tactical kicking, which was the weakest component of his game, has developed immensely since midseason. Jake Granville is also in career-best form. While the wily rake does not make as many clean linebreaks as he did in his breakout season, his defence, decision-making and service have remained top shelf. He also keeps the opposition markers interested, which in turn creates opportunities out wide for Morgan – or if the markers drop off in concentration, he is not afraid to go for a scoot. He has currently scored four tries and set up nine, the second most assists in the team, just one behind Cameron Smith. Lachlan Coote has displayed mixed form this year but appears to be hampered by a niggling calf injury. The fullback has still been dependable, and his talk in defence has been a major factor in the Cowboys improved defence since Round 9. 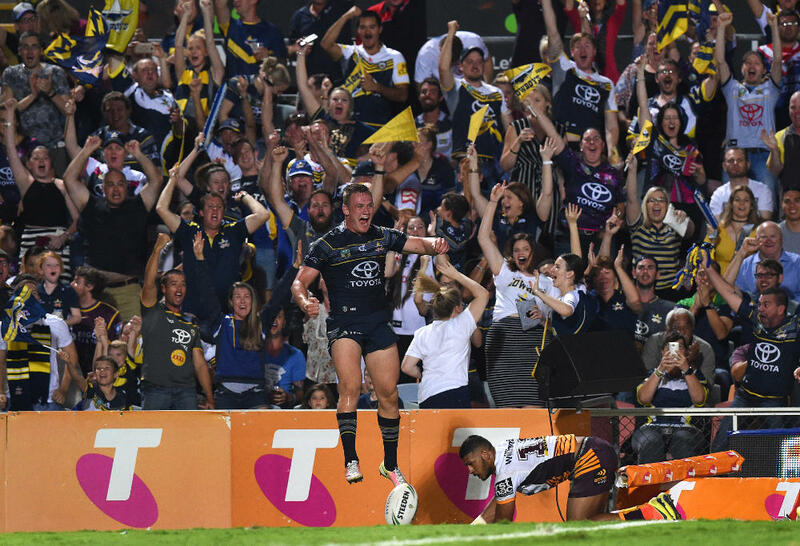 Taumalolo has been sensational, averaging a staggering 205 metres, with a season-best performance of 300 run meters against the Storm in Round 15. Ethan Lowe’s defence has improved in recent times, and he is returning to best form since a nasty neck injury. Shaun Fensom has also proved to be a shrewd addition, providing solid defence and leadership for an inexperienced forward pack. Kane Linnett has been sensational despite not getting the accolades of the fancier centres of the competition, and he has done plenty of the hard yards for the team. He has also cut down on his error rate, making only seven this season, down from 14 in 2016 and 20 in 2015. With the return of co-captains Scott and Thurston next season along with the arrival of Melbourne enforcer Jordan McClean, the Cowboys will boast the firepower in the forward pack as well as the experience and control in the halves to be one of the heavyweights of next year’s premiership. Look out, because the Cowboys will be demolishing all before them in 2018.